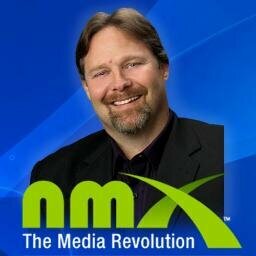 Heather Vale interviews Rick Calvert, CEO and Co-Founder of NMX, The New Media Expo for Profitable Social Media and Performance Marketing Insider. Appropriately enough, the interview was conducted in the NMX Lounge at NAB, Las Vegas. In this interview discover how NMX evolved out of the original BlogWorld and New Media Expo, what can be found at NMX each year, why entrepreneurs should add new media elements to their businesses, how companies like Red Bull are blurring the lines between content and advertising through content marketing, some various ideas about how you can incorporate social media and new media into your customer relations, how new media fits into the traditional broadcasting world, and more. Find out more about NMX at NMXlive.com.